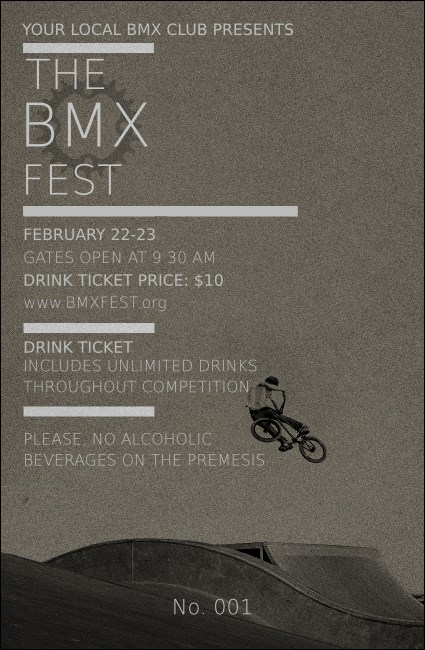 Jump right into the winner's circle when you hand out the BMX Drink Ticket for your next race, showcase or festival! The stark look of this ticket easily exemplifies the dedication and passion of all participating riders. Features include security numbering and thirteen lines for details. From classic to contemporary, find the right ticket for every sport at TicketPrinting.com!